There's a lot of different things to do here. 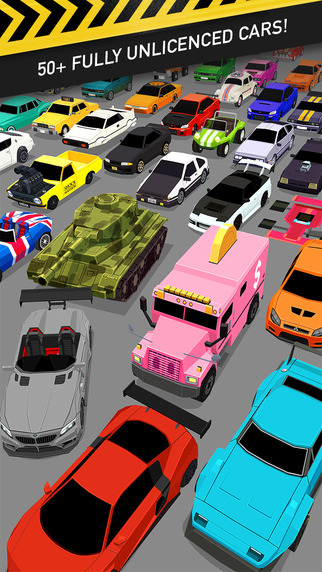 While the game is always pretty much the same, which makes it really easy and not stressful to play, there are a ton of different cars and upgrades to unlock as you go. 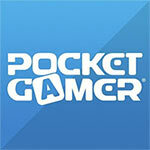 The soundtrack is also really great, though it does repeat a lot. 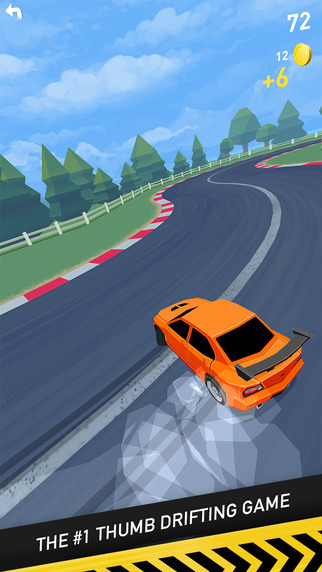 Everything about the game works really well, especially the controls that help you "drift" around corners.. The visuals are a bit of a let down when you look at everything else on this game. 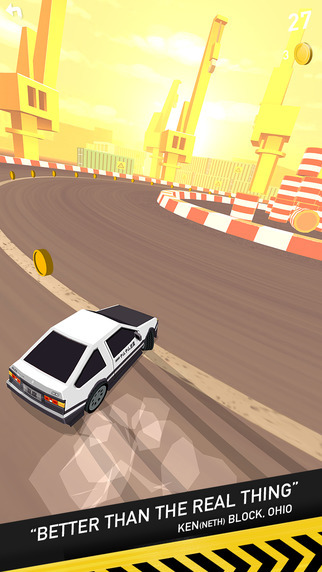 In truth, from where I’m sitting Thumb Drift is nearly perfect as far as fun little highscore chasers are concerned, and the central mechanic is just ridiculously fun and feels like butter. 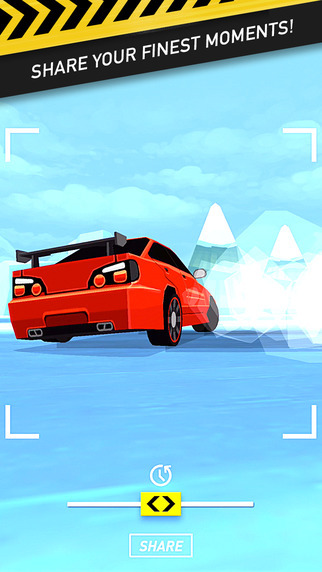 There’s also a light mission system and tons of cars to collect to keep you going, but even if those things weren’t there, I’d still be playing every single day. Plus, the game is free (with occasional ads that you can disable with a purchase), so you basically have no excuse to not at least give it a try to see if it clicks with you. Please do, and then tell your friends, because I want this updated forever. It’s satisfying to watch as your skills steadily improve, and its speedy nature means you’re sure to come back for more anytime you’ve got a few minutes spare. Even if it’s just to watch your crash test dummy character fly out of the car, as you hurtle into a barrier for the 100th time. 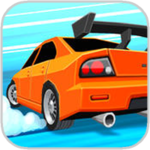 Thumb Drift delivers a quick burst of fun that just as quickly fades, but it’s still worth picking up for a free fast paced challenge. 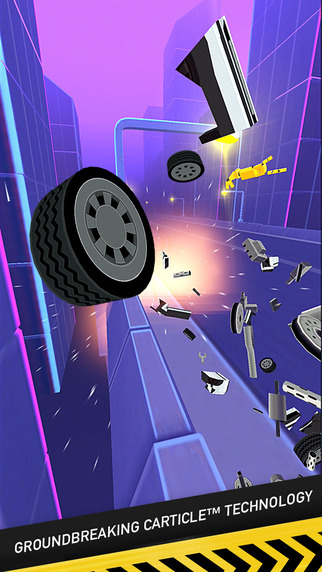 Thumb Drift is a simple and engaging one-finger racing. It might not have much meat on its bones, but it's still worth a look.